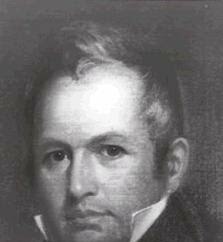 Joseph Ritner was the eighth Governor of the commonwealth of Pennsylvania, elected as a member of the Anti-Masonic Party. He was elected Governor of Pennsylvania in the Pennsylvania Gubernatorial election, 1835, and served from 1835 to 1839. Controversy surrounding his 1838 electoral defeat led to the Buckshot War. In 1856, Governor Ritner was a delegate to the first Republican National Convention in Philadelphia.